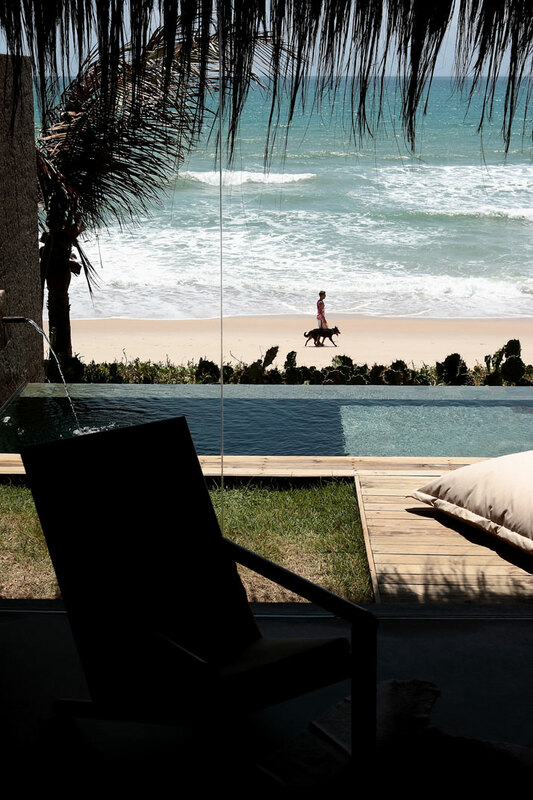 Here at Yatzer, we have the privilege of sharing many luxury resorts from all over the world with our readers. Marvels of architecture and design, sprawling landscapes, breathtaking restorations and innovations alike, our discerning eye never tires of the many different ways that beauty can take shape and design can be brought to life. While it is a general rule that we take what we choose to feature on our pages very seriously, every so often, we come across a property that stops one of us in our tracks. A game changer. 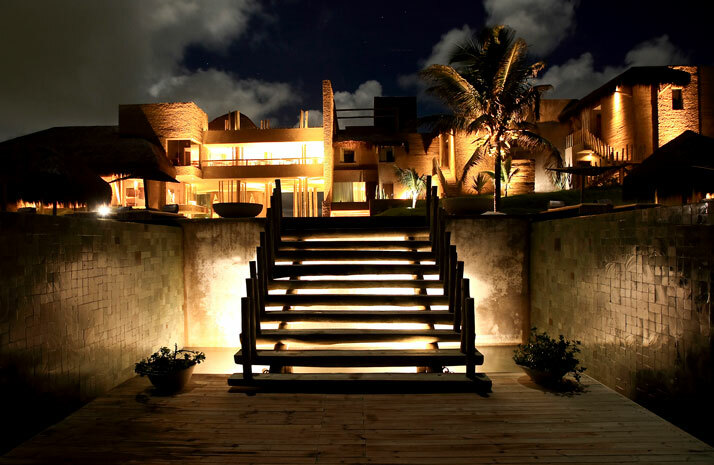 Kenoa Beach Spa & Resort, member of Design Hotels™, is one of these occurrences. Of course a beach setting is always a sure thing for yours truly, but in my experience the most talented designers find a way to tell their story by using what the earth has given them to work with in a brilliant way. Most of the time, this means editing themselves – as ''under'' designing a space takes so much more expertise than adding things in. 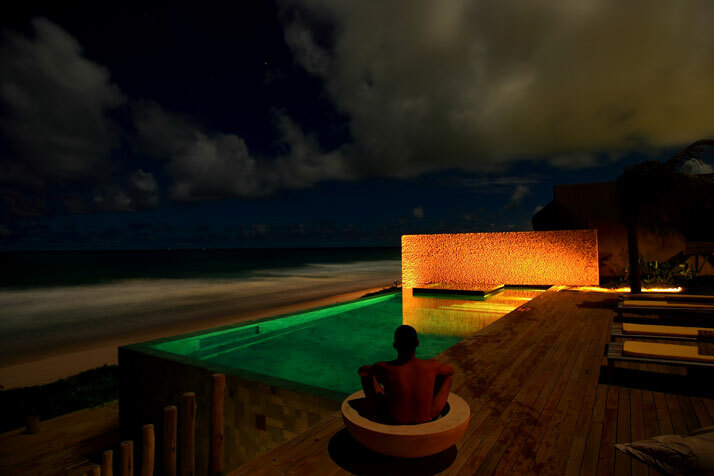 Nestled into an untouched corner of the world on Brazil’s northeastern coast, 30 km south of Maceió, the capital of the state of Alagoas, Kenoa is a Brazilian bathing beauty on the fine white sands of the Barra de São Miguel beach. 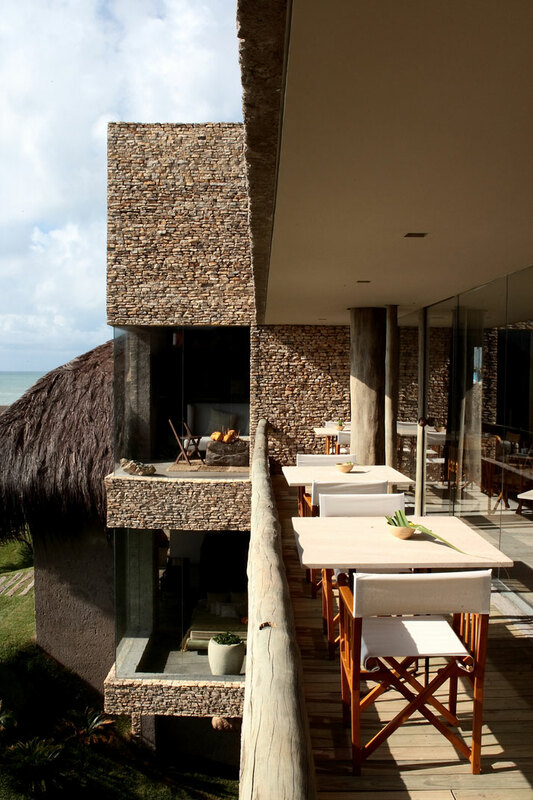 Founder Pedro Marques dreamed up the possibility of this luxurious retreat located just on the edge of an environmental sanctuary and architect Osvaldo Tenorio is the man responsible for making it happen through his design. Inspired by nature’s “primitive forms and calming essences”, Tenorio joined team Kenoa in their effort to create a place that simultaneously showcased and respected its surroundings. 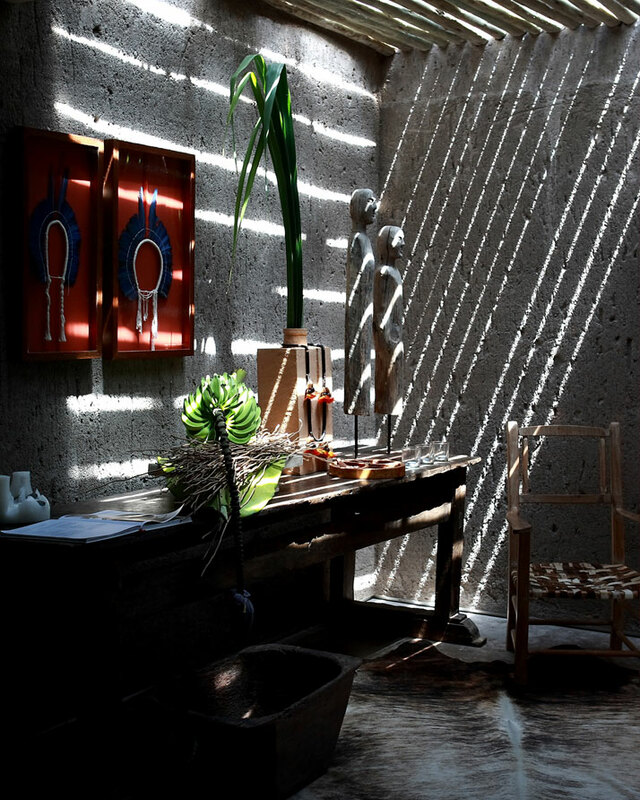 ''The project comes with its own genetic code, translated through various references, colors, textures, and aromas that promote the relationship between nature, man and the desire for simplicity, privacy, luxury, and comfort''. 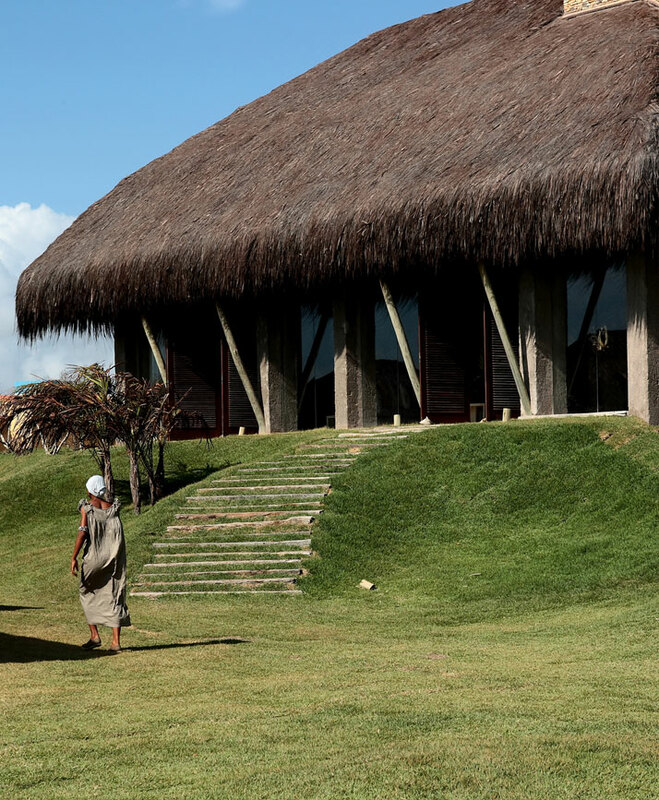 As an extension of this idea and their untouched surroundings, it was only natural for the Kenoa team to create the 23 villas and suites with a mindful, eco-friendly philosophy. 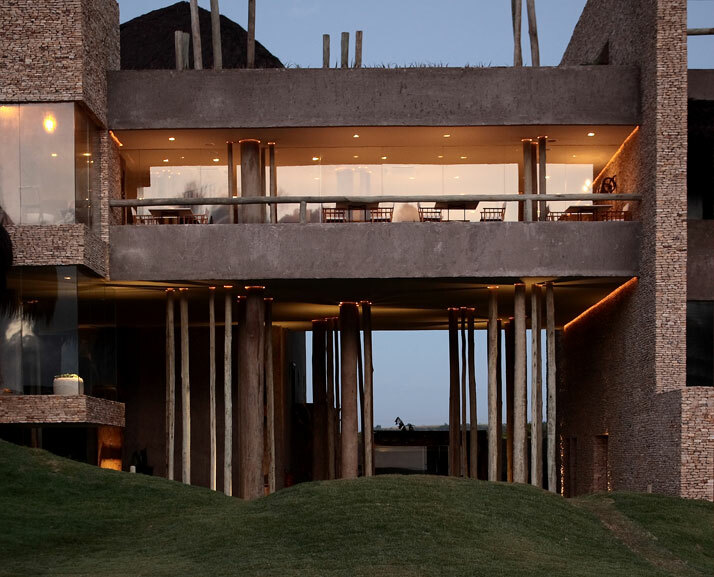 Locally grown foods served at the restaurant, furniture created out of tree trunks of reclaimed wood and energy efficient LED lighting are only a few mentions of the many efforts that the Kenoa takes to live in harmony with its environment. 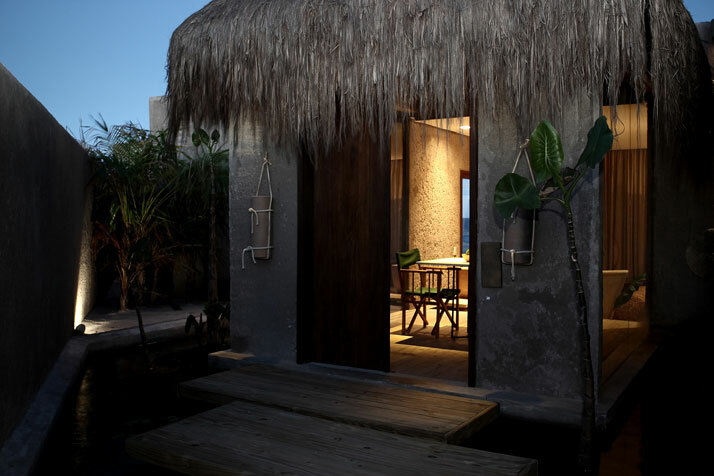 They have a knack for sustainable living, describing the resort as a “first wave eco-chic design resort”. Blonde driftwood and exposed sand colored brick is a common denominator throughout the property, connecting it to all the natural materials. Neutral base colors extend the spa vibe into each of the 11 suites and 12 villas. Such a color palette allows the bountiful sunlight to illuminate each and every single room and hallway. 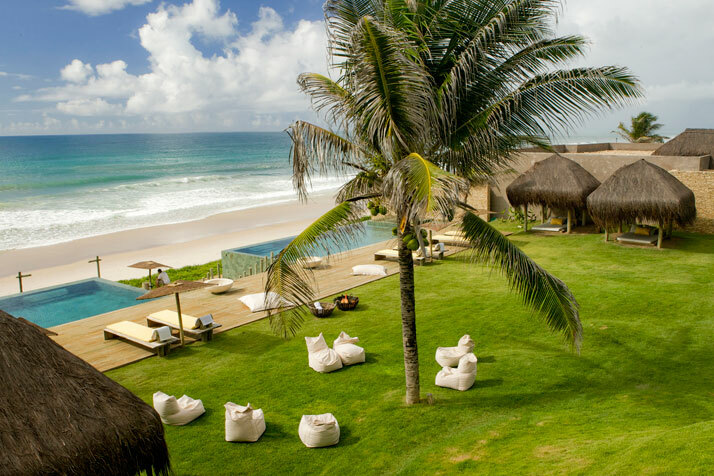 Luxury rears its head in the private pools or the delicious views of the ocean and the lush greens of the surrounding sanctuary. Gazing out from the floor to ceiling glass windows, it seems like nature handcrafted this view personally for the guest. The rooms themselves are warm and cozy courtesy of tactile furniture, textured fabrics, fur throw rugs and leather ottomans. Indigenous art allows you to feel far away from home yet connected to the human condition. 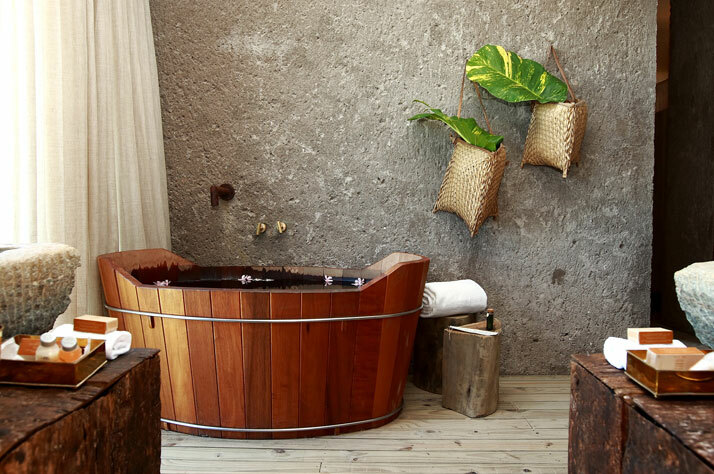 The bathrooms are a favorite; the stand-alone tub may as well be heaven on earth. 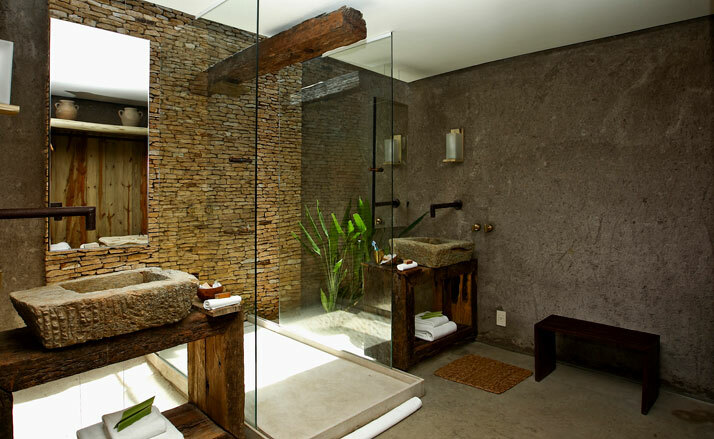 The open air shower and stand alone stone sinks offer a perfect amount of sensuality. 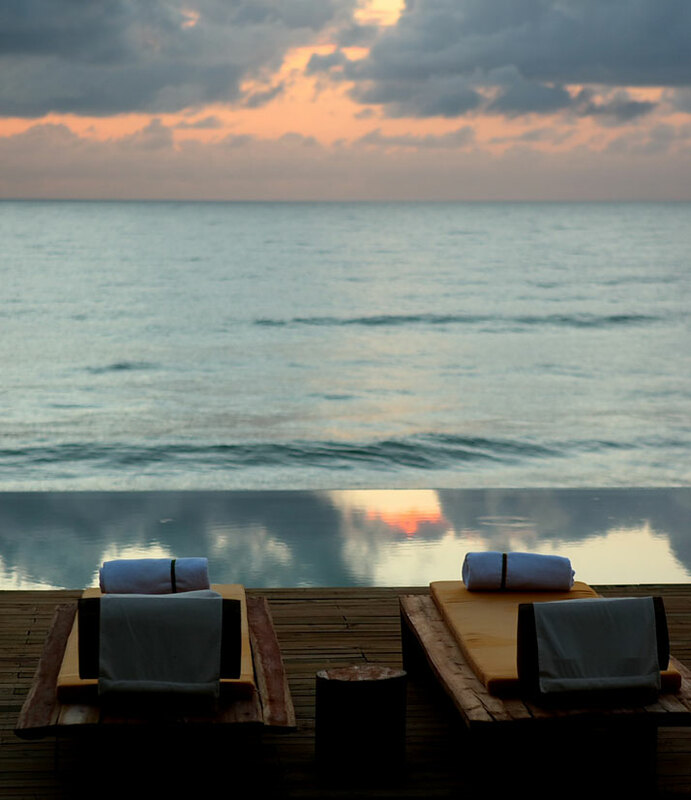 A spa, restaurant, wine bar and lounge solidify Kenoa’s status as a luxury resort. There is something to treat every part of your body. 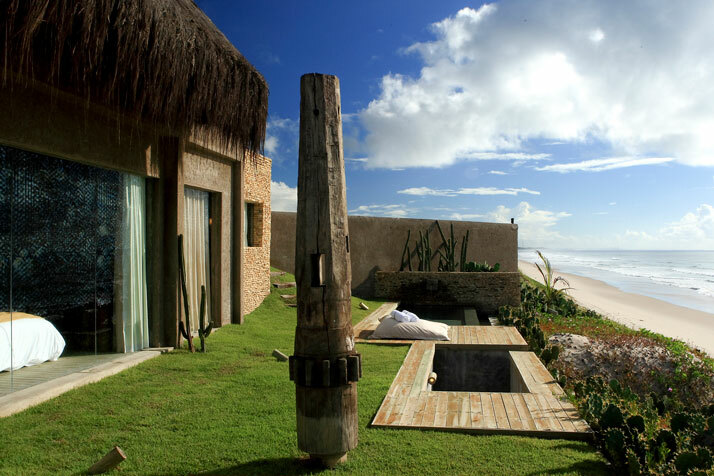 The Kenoa Beach Spa & Resort has ''it''… that natural edge. It is an example of pure beauty that has been showcased properly and given great reverence by the architect Osvaldo Tenorio. He knew when to design and when to just leave it be. The materials are perfection and the layout, poetic. It is real life and raw feeling. The design and aesthetic come together to evoke emotions that cannot be put into words, only images come to mind; Kenoa is a fresh-faced beauty with no makeup, tangled beach hair curly with salt from the ocean, bare feet sinking in warm sand. It is soft white linen that blows in the evening sea breeze against freshly tanned bare skin. It’s the scent of lime and sugar, the sound of ice against a martini shaker, coconut oil and orange afternoon sun. ...Framed ''by the golden sands and turquoise blue beaches, the careful design can be appreciated in its small details, created to make being in this location a unique experience.'' The Kenoa Beach Spa & Resort has just raised the bar.